New name represents a stronger invitation to people everywhere to join the online selling movement and become one of the next 1,000,000 Filipinos who sell their personal items they are no longer using on OLX. Sulit.com.ph, the Philippines’ leading buy-and-sell website, is now OLX.ph. The rebranding is set to inspire and encourage Filipinos to improve their lives by selling personal items they are no longer using and turning these to cash. The new name also emphasizes a stronger focus on making it faster and easier for ordinary Filipinos to sell their things online, connect with others to meet up, and complete transactions. “The name change represents our commitment to change how Filipinos perceive online selling. That selling stuff you no longer use is simple and can actually help you earn additional cash,” says OLX Philippines Managing Director RJ David who is running the rebranded site together with Arianne David – the same founders who propelled Sulit to online supremacy. David explains that with OLX, Filipinos now have a quicker and more convenient way of selling their stuff. And posting of ads remains free! Whether it be through the OLX app or the web, all they have to do is just click and post. Within seconds, you can already list an item for sale. Within minutes, your item will appear on OLX, possibly hear from interested buyers within hours, and within days, meet up with buyers who can trade your stuff for cash. “In no time at all, you’ll have simplified and improved your life by selling on OLX on a regular basis,” he adds. On OLX, there are buyers for almost anything you have to sell – that guitar you no longer strum, your baby sister’s stroller tucked away in the bodega, or that kiddie bike that you and your siblings have outgrown. Millions of users from all over the world have already sold their items on OLX and now, you can too. Previous Sulit members do not need to create a new user account or repost active ads since these will not be affected by the brand change. Everything that users came to love about Sulit – free posting of ads, wide variety of items for sale, and thousands of sellers to choose from – will all be reflected on OLX. The website may bear their new brand name and colors but their commitment to make online selling easy for Filipinos remains the same. Some of the key improvements to expect include the simplified ad process, upgraded Android app which will soon become available on iOS, and the current expansion of their Customer Support to assist their users even at night and on weekends. As expected, the rebranding will not affect the company’s local management team. 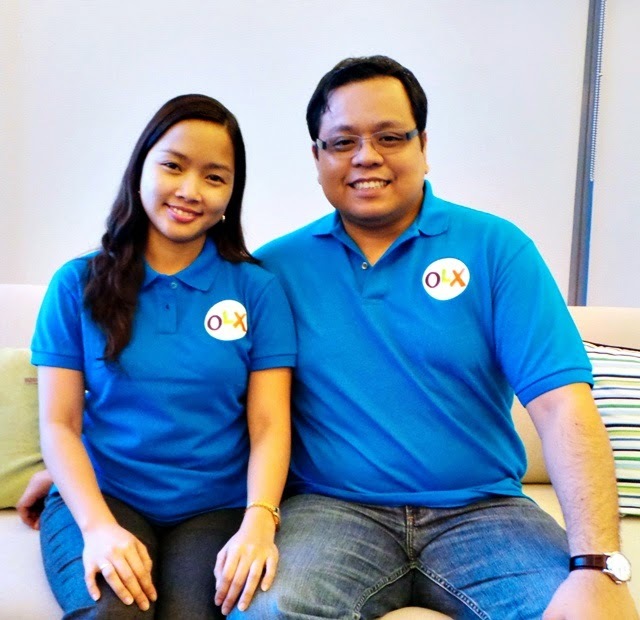 Team OLX Philippines will still be managed by RJ and Arianne David, along with the same Sulit team that has been of service since Sulit’s launch in 2006. And with this positive news, OLX Philippines also launches its “YESSS YAMAN!” movement – a campaign that enjoins the public to make online selling a conscious habit, and one that gives them extra earning opportunities while decluttering their homes from unused items. Now, it’s time for every Pinoy to check their homes for items that are no longer being used because on OLX.ph, everything sells. Sell them, earn money, and say YESSS YAMAN!